To buy copies of the book now, click below which will take you to Paypal's secure payment site where you can use a credit or debit card or your paypal account. 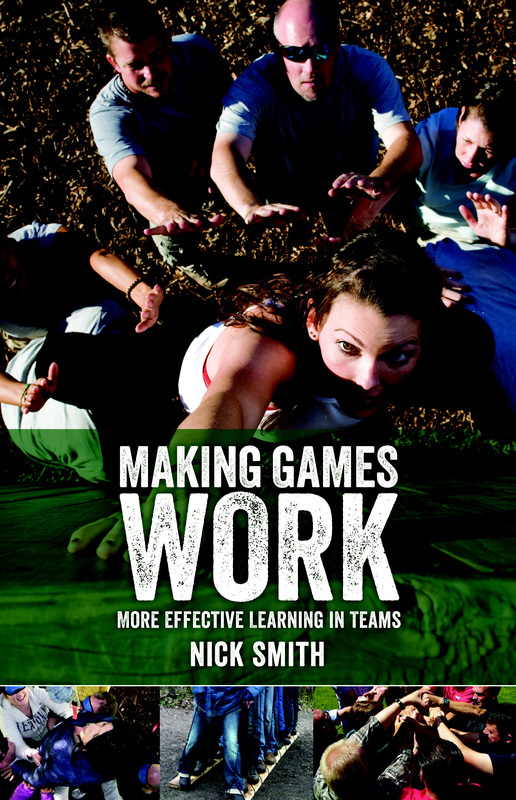 written guide from one practitioner to another about how to get the best value from team games. After reading Making Games Work I am confident that your tried and tested activities will be getting a makeover or two." "This is without a doubt a book that should be available to all instructors, teachers, facilitators, youth workers, in fact anybody that works in the field of developing personal and team skills." "Nick, a time-served master craftsman, has assembled his tools, laid them in this tool box and allowed us to choose which tool we would like to use. With sound advice from his experience, as to which tool will work best, he has delivered a service to the outdoor training world." Nick has been running games as part of team and leadership training for 20 years. People regularly seek him out for advice on how to make games work with particular groups or for specific learning outcomes. He has a passion for helping people to enjoy the process of discovering and reaching their full potential. Running games successfully is easier than you think, once you've read this book.